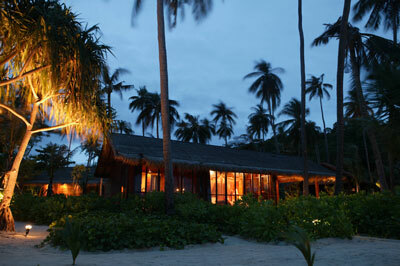 Zeavola welcomed the first couple on June 16th, 2005 and started to present the charms of rural Thailand to the world. The plans were certainly ambitious, yet they are well conceived. Investment to date has exceeded 480 million Baht and the goal of being the leading boutique resort in Asia is within sight. Investment is not an end in itself and Zeavola has sought to develop services to meet guest's requirements and to exceed their expectations. By taking on the mantle of pioneer, Khun (Mr.) Quanchai has built 48 deluxe villas entirely of wood on this fine tropical island. He dared to incorporate designs, shapes and style new to other hotels with the ultimate goal in mind to create this luxurious, rural and charming Thai village. A new generation of hospitality has been born! A hotel can't function without its workers! Employees' moral, training and care and respect for individuals are a founding principle of Zeavola where we all work hand in hand. Zeavola employs approximately 170 associates for its 48 villas. A team of dedicated terrific individuals serve, help, support and please our valued guests. Along with our well-experienced managers, all staff must undergo continuous education in their specialized fields to guarantee that their skills remain finely honed. The necessary expertise of all resort staff in the use of modern technology and equipment isn't at the expense of perceived notions of traditional national warmth, which is why Zeavola truly combines new technology with Thai hospitality and charms. Villas at Zeavola are a haven for relaxation and comfort. Each villa features a separate bedroom and living room with a spacious private sitting area. Most with a private uniquely designed garden for ensuite sunbathing and/or area for the in-room spa treatments. Other amenities include individually controlled air conditioning, colour television, CD/VCD/DVD Player, IDD telephone, work desk, in-room safe, hairdryer, bathrobes, slippers, minibar and coffee/tea making facilities. ZANN ZANOOK is the "SUPER FUN" ACTIVITY & DIVE CENTRE (PADI resort dive centre R-36185). Our professional & experienced guides will show you the best of Phi Phi's highlights... Come and explore the white sandy beaches and the colorful coral reefs, from above and below the surface of the glittering seas of Andaman. Zeavola's two innovative restaurants offer the wide variety of authentic cuisine from rural and royal Thai to mouthwatering Southern Italian where you can dine al fresco or indoors, from uniquely designed menu. Zeavola Diving/Sport Center : Diving center with certified PADI Dive Master and water sport center on premise from windsurfing, ocean kayaking and sailing to ensure guests' adventurous experience of Phi Phi Islands' pristine water and natural corals. A daily list of activities is arranged for all guests to participate such as beach yoga, trekking, coral-snorkeling, etc.